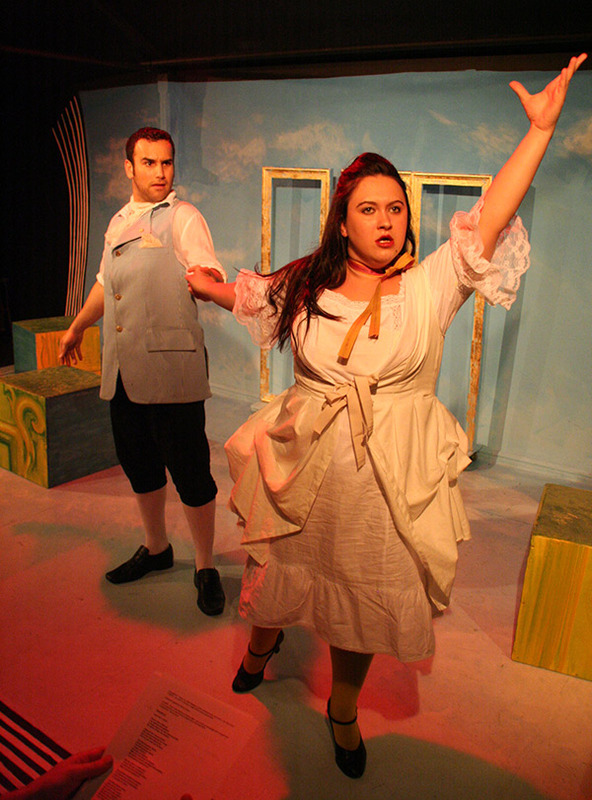 Philip Godfrey’s musical comedy CASANOVA premiered at Greenwich Playhouse in summer 2008, achieving sell-out audiences and unanimously positive reviews (click here). All his life Casanova longed for literary fame – but he only achieved it after his death, when his memoirs were published. In life he was all too easily distracted from his writing – this musical romp, based on his memoirs, tells his extraordinary true story. How he rose from second-rate violinist to nobleman; his arrest and imprisonment in Venice’s notorious prison; his escape, and his success in Paris; his bankruptcy, and his swindling of the aristocracy – all are covered in this revue-style song and dance show, along with his many affairs, ranging from the romantic to the scandalous. CASANOVA is a light-hearted musical comedy; the score is melodic and romantic, a beguiling mix of traditional music theatre styles. Script/score available for perusal; DVD and audio selections also available. All quotes, photographs and video clips are from the Greenwich Playhouse production, May/June 2008. Cast: Julia G. Addison, Scott Armstrong, Libby Christensen, Beth Davies, Emma Fenney, Anthony Flaum, William Hazell, David Longden, William Ludwig, Gemma Morsley, Michelle Whitney. Director/Choreogrpaher: Tim McArthur. Musical direction: Stephen Hose, Michael Steel. Produced by Casanova Productions/Trilby Productions. Philip studied music at Cambridge University, where he was an organ scholar and musical director/composer for the Footlights. His first musical, Play On, was performed at Cambridge and was a prize-winner in the Vivian Ellis Awards. National Youth Music Theatre performed his musical Hearts of Oak in London in 1990. Philip’s instrumental and choral music is widely performed and published, with recent performances at St Paul’s Cathedral, Symphony Hall, Birmingham and on BBC TV/Radio and Classic FM. Casanova was first performed in 2008, following workshops at RAM, Central School and the Tristan Bates Theatre.